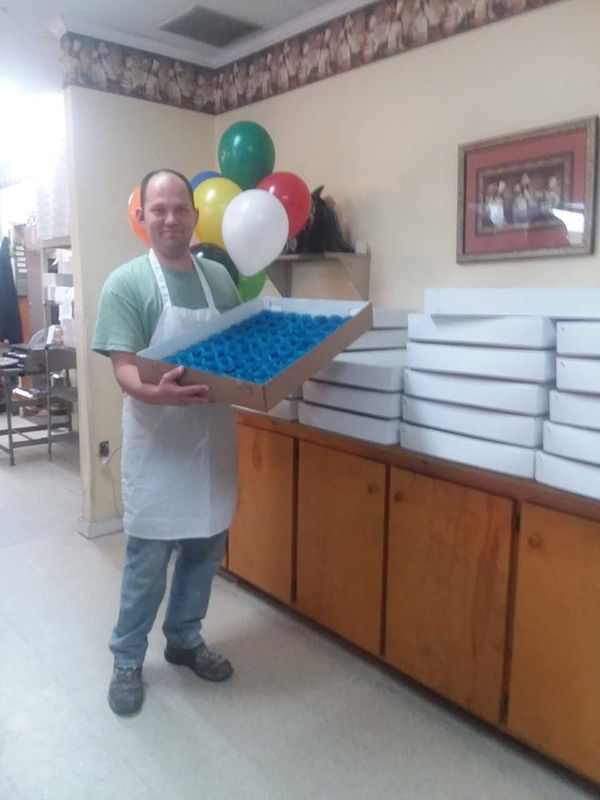 Hall's Pastry has been in business since 1977. The business was started by father James (Boots) Hall and son Michael Hall to cater to people who had a request for a scratch bakery. We are famous for our one of a kind oatmeal cookies, wedding cakes, decorated birthday cakes, pies, pastries and donuts. We also cater weddings and other functions. We have a full line of donuts consisting of 30+ different varities. At Hall's Pastry, we focus on quality. For more than 36 years and 2 generations, our locally owned and operated company has kept our focus on quality and variety. Every day we offer a large variety of baked goods at affordable prices. We use no frozen ingredients, giving you homemade freshness you can taste. Our selection includes an axciting array of seasonal items also, so get with the season and experience the difference at Hall's Pastry Shop. To ensure that you can get all that you need for your parties and get togethers, just call and place your orders in advance. We have a large variety of Breads, Pies, Cakes and much more.. Call in your order in advance to save you some time.